FTC Disclosure: This is a compensated/sponsored Campaign, All opinions are 100% my own! I am disclosing this in accordance with the Federal Trade Commission 16 CFR, Part 255 - Guides Concerning the use of endorsements and testimonials in advertising, you may check our Giveaway and Disclosure Page for additional information regarding Ascending Butterfly Disclosure. That's a great offer. I used Jenny Craig back in the day, and it works like a charm if you stick to it. I would have to admit I would actually love to do this because I don't like to cook or even plan for it. This year I'm committed to finding out more about nutrition what my body needs and how to keep my body healthy. How cool this giveaway is! 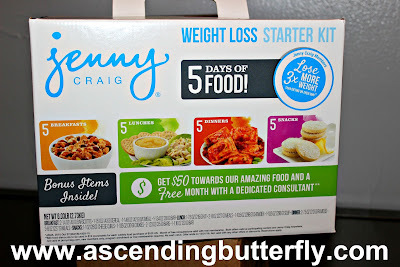 Funny how I never actually tried Jenny Craig products, but it's good to know what they have to offer! I have always wanted to Jenny Craig. The meals always look so good, and I can't cook so it would be perfect for me. That's a nice, no-pressure way for people to try out Jenny Craig. I'm curious - are the meals included in the box? Does it need to be refrigerated? What a great weight loss starter kit. I think it will be great to really stick to this program. I want to try this. I've been hearing a lot of great things about Jenny Craig. I need to try this kit. Ive heard great things about Jenny Craig. I need to do something soon. I've never tried Jenny Craig, but I have to assume it's good and "works" since it's been around for so long. I often wonder how the foods taste. Thanks for sharing this is available at Walmart. I will have to check it out the next time I go shopping. I have never used Jenny Craig, but that's pretty neat! I'll have to check this out for sure. How awesome, I had no idea you could find these in Walmart. This makes getting on a plan so much easier. 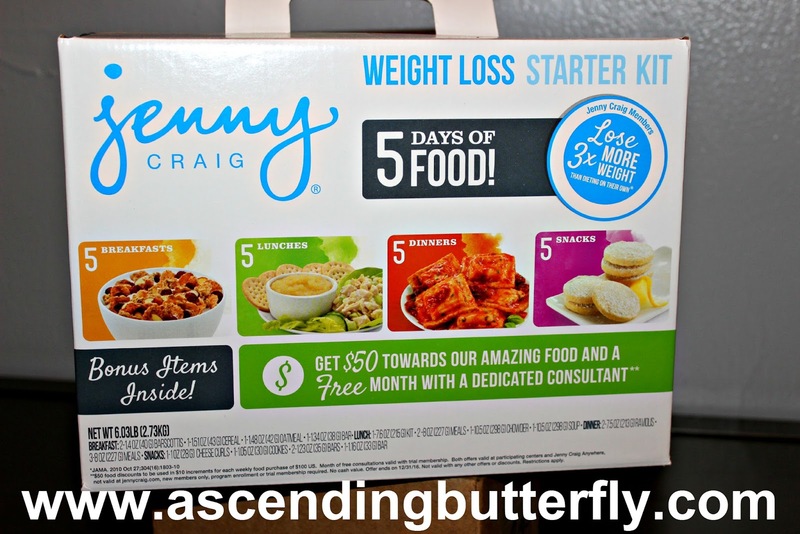 I have been wanting to try Jenny Craig. I will have to go to Walmart and check out the Jenny Craig kit. Im glad JC is still around! Cant wait until Mondays post for more details on your experience! Looks like a wonderful weight loss kit that could yield some great results. I would love to suggest this one to my cousin who is in need of a good program & JennyCraig sounds like one.